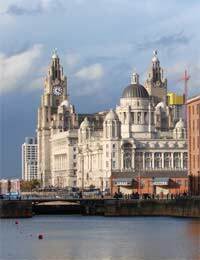 The Mersey Sound was the first British regional sound to emerge in the rock’n’roll era, and certainly the most successful, bringing out the Beatles, Cilla Black, Gerry and the Pacemakers and several others, who all scored chart hits and made Liverpool a musical centre. It was such a vital scene that it even had its own regional music paper, Mersey Beat, and there were venues all across Merseyside for bands to play, the most famous, of course, being the Cavern Club where John Lennon and company famously had a residency before being signed by manager Brian Epstein. The energy of the scene means there is some memorabilia available, although at the time people were just enjoying themselves and not really thinking for the ages. In terms of memorabilia it’s still quite possible to find vintage copies of the Mersey Beat newspaper. It started publication in 1960, and came out fortnightly for several years. Although you don’t find many original copies these days, they still come up for sale reasonably often, and as a piece of history it’s an excellent document. It wasn’t a time when people released their own singles, so everything came out on major labels. Discovering original copies of those 45s or EPs in very good condition can be a memorabilia find, and the prices relatively high in terms of vinyl, but worth the investment, as they’re likely to rise in price. At the time there was little in the way of flyers and posters for shows – these were, in essence, just local bands, after all – and information about dances came through the newspaper, meaning you should be a little dubious about any posters offered. They would only be for larger shows. However, an older relative from the area might well have a collection of autographs, and if that memorabilia should include a complete Beatles set, pre-Ringo (when Pete Best was the drummer), then you could probably afford to start looking at new cars. Even individual Beatles, like John Lennon, are worth some money, although lesser artists (Gerry and the Pacemakers, the Merseys etc.) would probably only bring a sum as a collection, not individually. Where is a Good Place to Find Memorabilia? Because the Mersey Sound was relatively self-contained for a while before bursting into the national consciousness, the best place to find memorabilia is around Merseyside. The people who will own it are grandparents today, and the items might have been in attics for years, put away with other parts of their youth. Asking people in the area can sometimes turn up results, or attending house auctions. The chances of finding anything extremely rare are small – but someone did find a tape of John Lennon’s first band in an attic which sold for a small fortune. However, as many of the bands toured all over the UK, you might well be able to find things like autographs anywhere. A number of the groups spent time playing clubs in Hamburg, Germany, which could also make that fertile territory, although you’d probably only find autographs. It takes time and effort to track down Merseybeat memorabilia, but for someone with a decided interest in the era, it can be very profitable – and the items are only likely to rise in value if you ever want to sell that memorabilia.